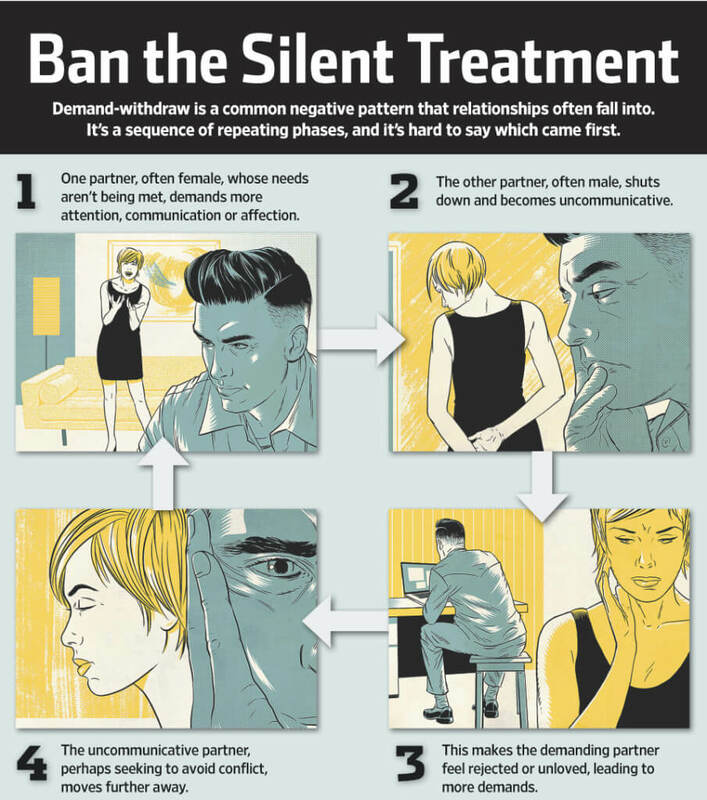 Many women talk about how their partners shut down and shut them out in their relationship. The silent treatment need not continue. Seek relationship coaching and don’t suffer in silence any further.